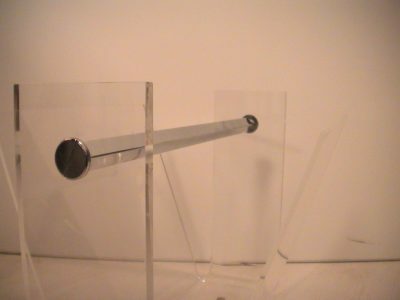 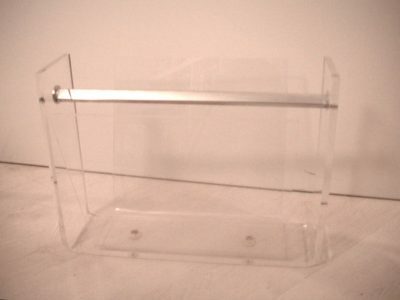 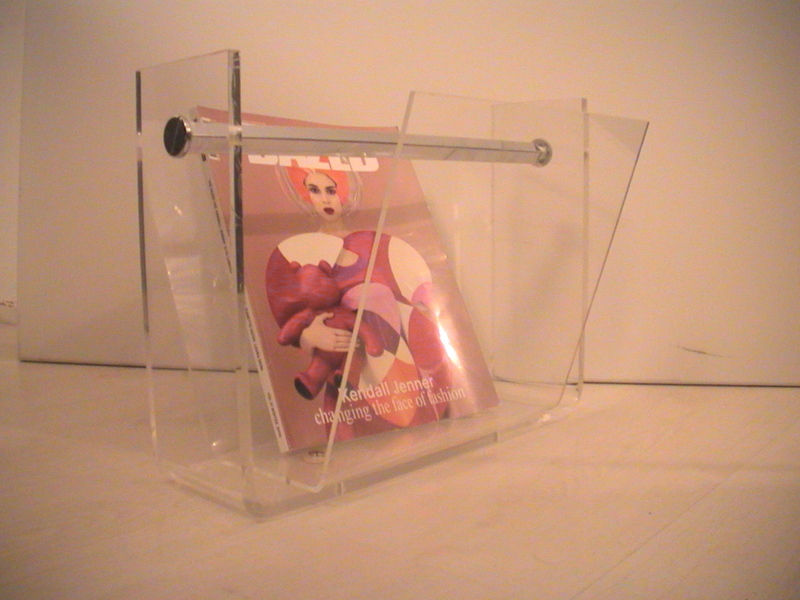 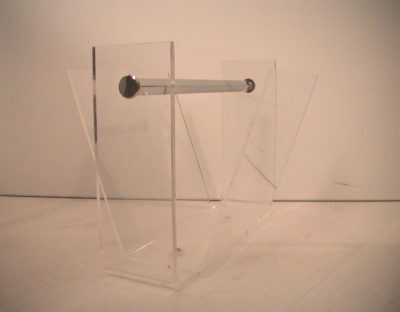 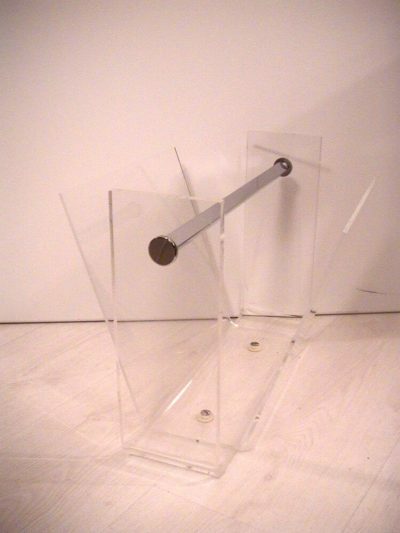 This sleek transparent plexiglass and chrome handle magazine- and newspaper rack from the 1990s was designed and made by David Lange. 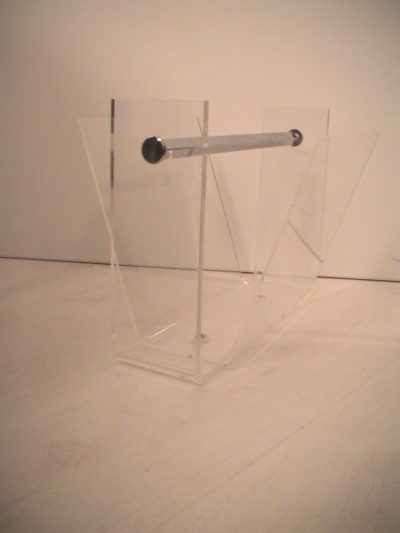 David Lange was a french furniture house well known for their use of modern plastics and plexiglass since the 1960s. 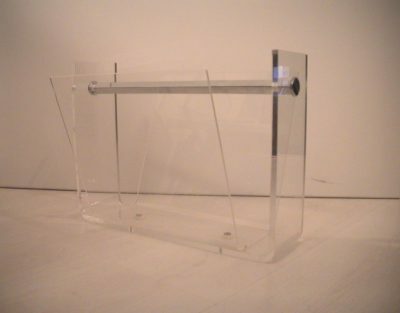 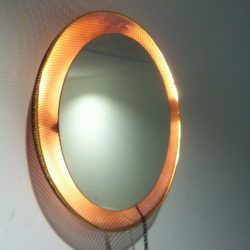 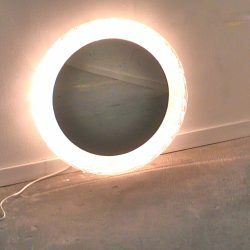 Today the furniture house is again producing modern plexiglass furniture. 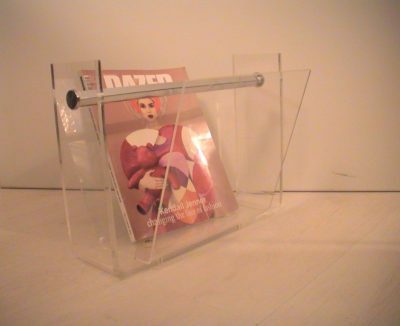 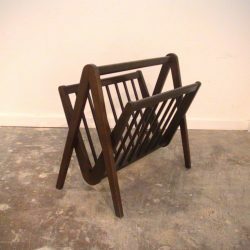 This magazine rack however is a vintage one. 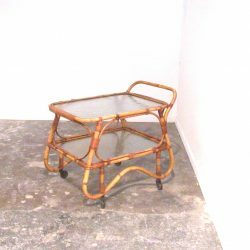 Condition matches the age and use, some signs of wear, scratches on the plexiglass. 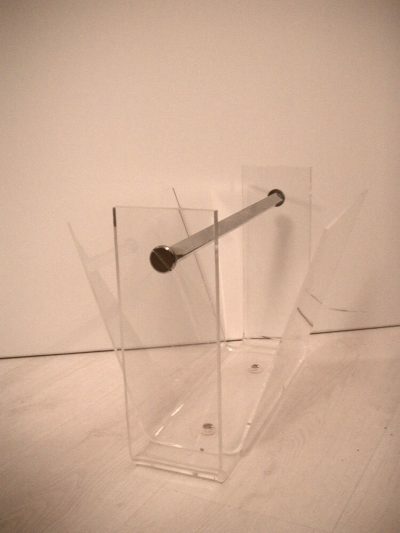 Measurements: Height: 30 cm x width: 41 cm x depth: 28.5 cm.